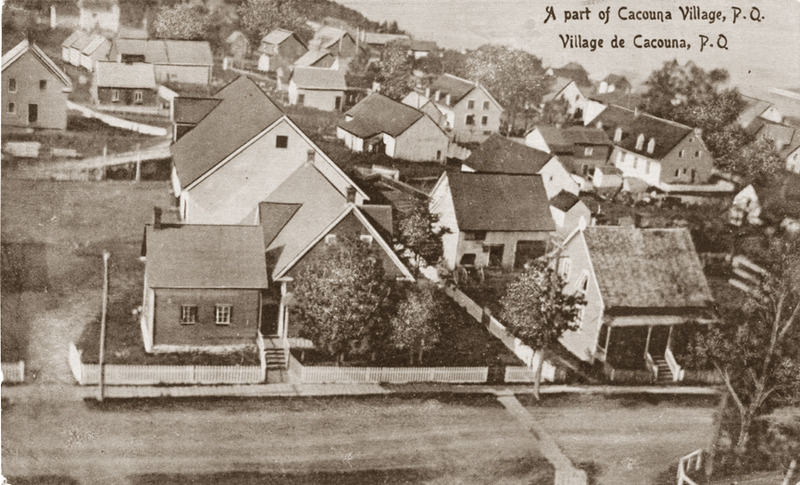 A view over Cacouna from the church belfry, around 1900. In the foreground, the house and post office of notary Jean-Baptiste Beaulieu. The notary Jean-Baptiste Beaulieu (1842-1896) was a merchant who also served as postmaster and secretary-treasurer for the school board, parish and village of Cacouna. His home was across the street from the church, always bustling on Sundays, and not far from the shoemakers, Guerette et Frève, and another merchant, François-Xavier Côté. 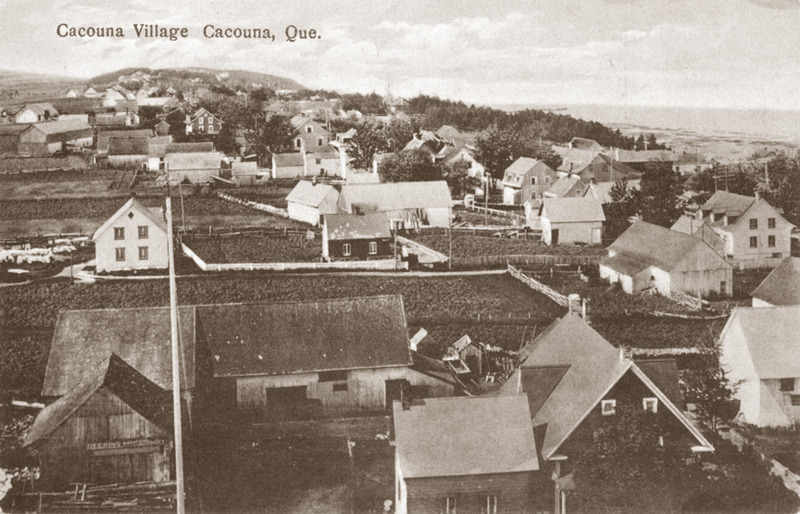 People from Cacouna’s five concession roads frequented his house, where, with help from two of his children, he had set up his notary office, a small store and the post office in 1854. 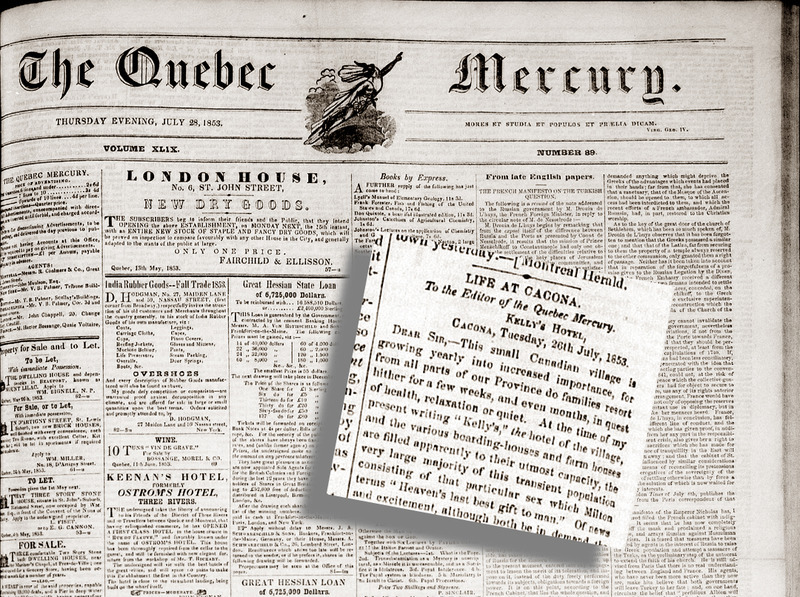 His son Jean-Baptiste, also a notary by profession and the owner two schooners, the Marie-Rose (1873) and the Emérillon (1874), supplied food for the store and helped out at the post office. His other son Thomas served customers in the store. In 1891, Thomas Dionne was hired as assistant postmaster. He was responsible for receiving, sorting and distributing the mail for Cacouna’s residents and visitors. 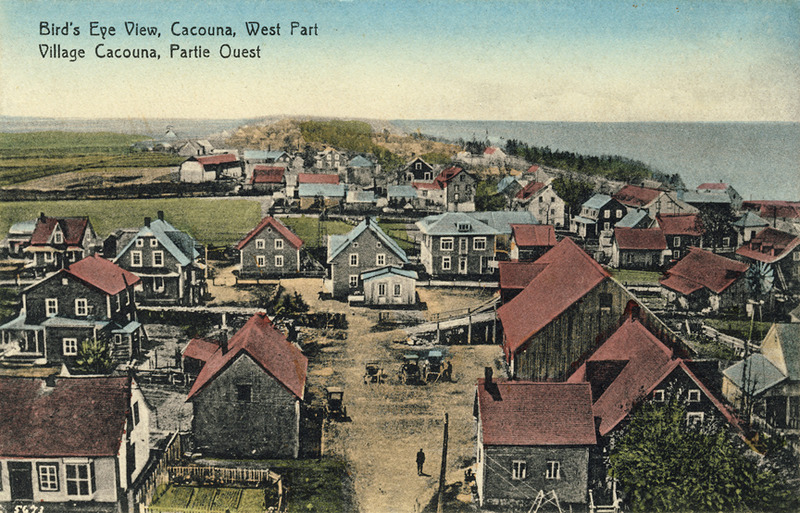 The west side of Cacouna village, around 1925. In 1898, Elie Hudon, dit Beaulieu purchased the house, where his descendants continued to live and farm the land. Each of the three generations of Beaulieus that lived here produced a mayor for the village, and provided the church with excellent choristers. The Beaulieu House and Barn.